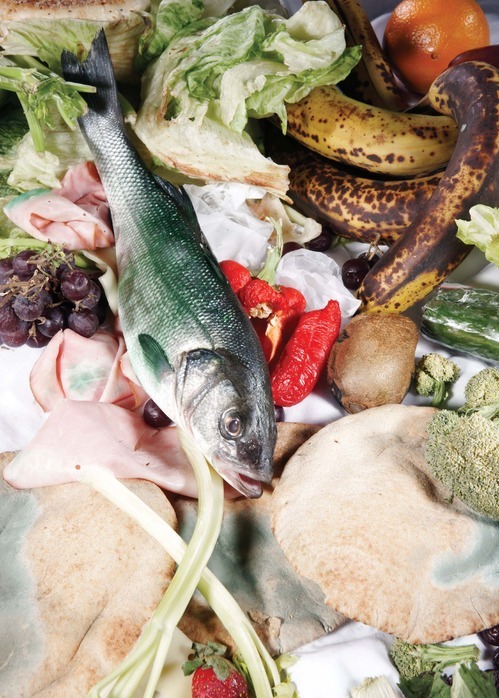 We've all been told, since childhood, that wasting food is bad--but it still happens. We buy food we don't have time to cook. We forget about leftovers in the back of the fridge. We throw out food that's stamped with yesterday's date, assuming it must be dangerous to eat. We have the best of intentions, but a little bit of waste every day, all over the country, adds up. Americans, on average, throw away about 23 pounds of perfectly edible food, per person, every month. And that doesn't even count the food we consume that, in retrospect, we probably shouldn't have eaten in the first place! This wasteful habit would not only earn a scolding from your mother—it's actually 50 percent more than what we wasted in the 1970s. For a family of four, it would be the equivalent of taking between $114 and $190 out of your wallet and putting it in the trash each month. Not at all helpful for your household’s bottom line. Plus, this is food that we haven't even enjoyed. We've already sacrificed the time and effort to buy it, carry it home, maybe even cook it--and we don't get the pleasure of eating it. So stopping this waste is actually about getting more: more time, more money, more freedom. A new NRDC report released today, Wasted: How America Is Losing Up to 40 Percent of Its Food from Farm to Fork to Landfill, explains some of the common reasons why we end up tossing so many of our groceries. Food can spoil before we use it if we don’t store it properly, it can get lost behind other items in the fridge, or it gets tossed because we misjudge our food needs. Sometimes we just cook too much. Cooking portions have increased over time and large meals can lead to uneaten leftovers. The Cornell Food and Brand Lab reports that serving sizes in the Joy of Cooking cookbook have increased 33.2% since 1996. A recipe that used to “serve 10” now “serves 7” or the ingredient amounts are greater for the same number of servings. A few simple guidelines can help you save money and cut down on the amount of food that's wasted at home. Plan your meals for the week, and then buy only what you plan to cook. Check your cupboards before you go to the store, to avoid buying doubles. Understand that for many products, the "use by" and "best before" dates are simply manufacturer recommendations for peak quality, and are not an indicator of food safety. Very often foods--particularly dry goods--are fine long after the date on the package. Trust your nose and common sense. Cutting a little food waste goes a long way, because throwing away food wastes not only food itself, but the resources—land, fertilizer, water, paper, plastic, gas--that go into growing, packaging and transporting that food. Our food habits waste 25 percent of America's freshwater and 4 percent of our oil. We spend $90 billion each year to make food that never gets eaten. Leaders around the world are worried about feeding the planet and talk of the need to boost food production. Let’s start by making sure we eat the food we’ve already got. This post is part of our Wasteland series, featuring people, towns, businesses and industries that are finding innovative ways to cut waste, boost efficiency and save money, time and valuable resources.